Take a look at what some of our Asian Studies alumni are doing now. By teaching me how to embrace discomfort, truly work hard, and think creatively, my professors cultivated my growth not only as a scholar, but as a human being. I am confident that the values and skills imparted through their mentorship will allow me to flourish during my Fulbright year and in all of my future personal and professional endeavors. What was the most important thing you gained from studying Japanese? When I first arrived at Bowdoin I had no idea what I wanted to study. Everything appeared interesting and I found it difficult to decide. However, after an auspicious encounter at a college house sushi event where I was struck by Professor Hiroo Aridome’s kind and encouraging disposition, I decided to give Japanese language a try. Despite the early hour, each day of Japanese class was fascinating and I formed lasting friendships with my classmates in the incredibly energizing and collaborative environment. Soon, I was encouraged to volunteer with Oshietai, a team of students who teaches Japanese language classes once a week at a local elementary school. After studying abroad my junior spring in Hikone, Japan and having an opportunity to reconnect with my family roots, my interest in Asian studies became more profound and what I intended to be minor grew into a double major. That summer I traveled to Hiroshima and used my newly acquired language skills to research a post-WWII children's art exchange between Hiroshima and Santa Fe, New Mexico. My research consisted of tracking down and interviewing individuals (in Japanese) who participated in the exchange as schoolchildren and I also had the opportunity to speak with several atomic bomb survivors. Upon returning to Bowdoin my senior year, I applied the knowledge and stories gained through these interactions as co-curator of an exhibition at the Bowdoin College Museum of Art entitled “Perspectives from Postwar Hiroshima: Chuzo Tamotzu, Children’s Drawings, and the Art of Resolution,” which was briefly featured in the New York Times. 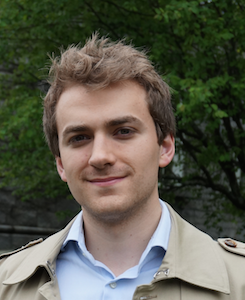 After graduating as a neuroscience and Asian studies double-major, I have returned to Hiroshima as a Fulbright fellow in order to conduct genetics research at the Radiation Effects Research Foundation, which studies lasting health implications of the atomic bombings in Japan for survivors and their descendants. It feels incredible to have an opportunity to apply the knowledge and skills that I gained at Bowdoin towards a personally meaningful and intellectually challenging cause and I am deeply grateful for the selfless dedication of my Asian studies and neuroscience professors for making it possible. Despite pursuing two summers of labwork and an honors project in neuroscience, I never once felt pressured to choose between my dual courses of study. On the contrary, Professors Jayanthi Selinger, Hiroo Aridome, and Sakura Christmas demonstrated flexibility and understanding as they selflessly encouraged my pursuit of neuroscience, while simultaneously fostering in me a deep sense of curiosity that has allowed me to connect my multiple interests. After completing two years with the JET program I plan to enter a graduate program for a doctorate in physical therapy. I chose to pursue a career in physical therapy because I believe it is a perfect combination of my interests in research, teaching, and using science to improve the quality of life and health of those in need. What role did the Japanese program play in your Bowdoin experience? Even though I grew up with a Japanese grandmother, I had never thought about studying Japanese language or culture when I initially arrived at Bowdoin. My first semester freshman year, however, I had one more spot to fill so I chose a Japanese history course. I can’t begin to explain how much that first Asian studies course changed my life and how happy I am that it did! That Japanese history course introduced me to the wonderful Asian studies department and led me to my first Japanese language class. From my very first day of Japanese to the day I graduated, the professors and members of the Japanese language program felt like my family at Bowdoin. This program gave me the chance to participate in Japanese language tables, attend fun department events, teach Japanese to local schoolchildren, and work with some of the most encouraging and enthusiastic professors on campus. 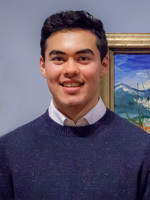 My time at Bowdoin was mainly devoted towards completing my two majors (chemistry and Asian studies) and competing as a member of the swim team. As a double major and an athlete I was touched by how much the Japanese language professors took an active interest in my life outside of the Asian studies department. They attended home swim meets, posted our championship results on the Japanese program Facebook page, and frequently asked about my chemistry research. My senior year I also was able to carry out research for an advanced independent study with Professor Christmas thanks to the unique and incredible opportunity to access a Japan Times database of digitized newspapers dating back hundreds of years. With these primary sources and Professor Christmas’ mentoring, my research culminated in an environmental history paper investigating the tuna fishing industry as a tool for pre- and post-World War II Japanese expansionism. My Japanese professors gave me crucial support and advice when I applied to the JET program and helped me develop the language skills to explore the country and make lasting friendships during my time in Japan. In college they welcomed me into a community that felt like family and after graduating they gave me the chance to see the world. I am filled with gratitude and happiness every time I reflect on that moment freshman year when I fell in love with Asian studies at Bowdoin. My whole family is from Shanghai—one of my goals coming to Bowdoin was to learn Chinese. As a kid, I grew up speaking Shanghainese, but never really learned how to speak Mandarin or write in Chinese. I've been taking Chinese for the past 3 years and my Chinese has really improved! It's been one of the defining parts of my Bowdoin education. 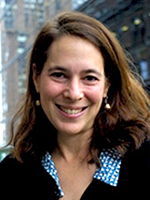 Jennifer Goldsmith Adams was born and raised in New York City before she decided to attend Bowdoin College and major in Asian Studies. As a freshman, she decided not to pursue a pre-med degree, which had always been her intention, and instead chose to take advantage of some of the broader academic opportunities offered by Bowdoin. Little did she know that she would spend the next six years immersed in the study of modern and classical Chinese and would spend nearly two years living in Mainland China. 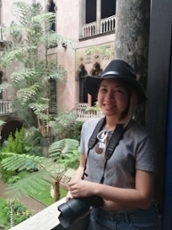 Jennifer's interest in China led her to travel extensively throughout Asia, usually by train and boat, but on more than one occasion by more traditional means such as by horse or mule. After college Jennifer was scheduled to begin a graduate program in London focusing on Chinese studies, but on a particularly cold Manchurian night she came to the decision to return to her original dream of studying medicine. Jennifer enrolled in the Post-Baccalaureate Pre-Medical Program at Columbia University, which led to NYU Medical School several years later. She completed her NYU Primary Care residency and stayed on for a chief resident year in 2003-2004. Jennifer is currently the Co-Director for the Primary Care program, and also works as a primary care physician at Gouverneur Healthcare Systems and a Violet Society Advisor at the medical school. Jennifer and her husband live in Manhattan with their daughters, Julia and Ellie, and their dog Cassie. Jen and her experience in China were featured in a video by the Chinese station HuaPlusTV. Find the link to the video here. My Chinese skills helped me find an internship at a venture capital firm and land a job at a Chinese real estate company in Shanghai and Hong Kong. I wanted to learn a new language at Bowdoin- one that would be challenging and that would open up doors in the future. What interested you about the major? My first-year and second-year Chinese teacher, Professor Cui, was a huge influence in my Chinese studies. While his classes were very demanding, he was completely invested in his students. Professor Jia was also a very important person in my Chinese career, as he was the one who gave me the Chinese name I use now. Finally, Professor Tsui piqued my interest in Chinese culture and film. After having studied abroad in Beijing for six months, I decided I wanted to go back after graduation. My Chinese skills helped me find an internship at a venture capital firm and land a job at a Chinese real estate company in Shanghai and Hong Kong. Knowing the language well allowed me to navigate in both the Western and Chinese worlds in social and professional aspects. I use Chinese now mainly in social settings, and people are pleasantly surprised to see that I can carry a conversation quite fluently. I invite students from all backgrounds and years to try learning Chinese and discovering a beautiful language, people, and country. 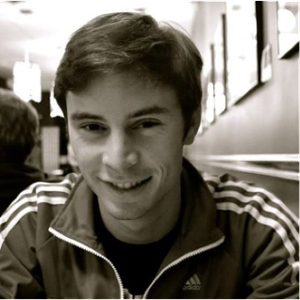 Ben is based in Seattle, WA and works for Microsoft, where, in his words, he “guides investments in startups and global software firms, working with teams across six continents (including in Germany) to help each company build products using Microsoft technologies. When he's not flying from London to Singapore, you'll often find him in San Francisco, collaborating with A.I. startups to apply their technologies globally. 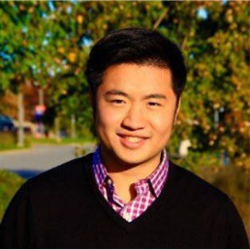 Studying Chinese language at Bowdoin was both a challenging and a rewarding experience. My classes at Bowdoin have improved both my conversational and professional Chinese speaking skills, and have vastly expanded my ability to read and write in Mandarin. The Chinese Department has also helped me to take advantage of some incredible opportunities off campus, including a Chinese speaking competition in Boston, a Middlebury study abroad program in Kunming, and a summer internship in Kunming. Furthermore, the Chinese Department is a close-knit community that allows students to develop close relationships with professors and classmates. My paternal grandparents immigrated from Southern China to Thailand. Even though they do not speak Mandarin Chinese, I grew up with Chinese characters, culture, folklores, and stories from my grandparents' childhood. Despite this environment, I often said that I am simply "Thai" and nothing else. I never fully grasped the "Chinese side" and how it has informed and shaped me as a person. I started Chinese since the first semester and went abroad to Beijing my Junior year. Chinese at Bowdoin had prepared me well for my semester abroad in Beijing and greatly assisted me with my HSK exam level 5. With better command of Chinese, I was able to read literature and watch Chinese TV programs and news; and with such opportunities I was able to better understand the politics, history, and the mindsets of my grandparents whom I had lived with throughout my childhood. To me, learning Chinese is not only something I do for the sake of comprehension of the language, but also for the understanding of my heritage. Kate Emerson is a graduate of the class of 2010 from Georgetown, Maine. At Bowdoin, Kate double majored in French and Asian studies. She graduated from the Columbia University School of Nursing in 2014, and from the University of California San Francisco Nurse Midwifery program in 2016. 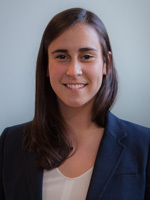 After graduating from Bowdoin, Kate's first job was co-teaching at an elementary school in Connecticut. While Kate loved teaching, she missed the team experience she'd had at Bowdoin as a coxswain on the crew team. When she learned about nurse midwives, Kate realized how perfectly this healthcare role combined what she loves about coxing, coaching, and teaching young people. After teaching for two years, Kate took time off to complete prerequisite courses for nursing school. Kate attended an accelerated Nursing program where she received her bachelors in nursing and passed the boards to become an RN in one year. After that, she spent two years getting her masters degree in nurse midwifery at the University of California San Francisco. As a nurse midwife, Kate provides patient-centered, evidence-based care both independently and alongside physicians, nurses, and specialists across a variety of departments. 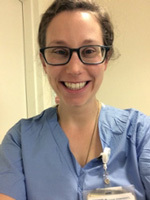 Kate loves being a part of team, supporting her patients in their toughest moments, and providing guidance, validation, and encouragement whether she is inserting an IUD, facilitating a prenatal group, or attending a birth. She currently works at Planned Parenthood where she is proud to support patients of all genders, ages, and backgrounds in their sexual and reproductive healthcare. 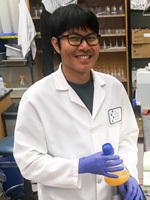 I am currently a graduate student in a joint Ph.D./D.Phil program in biochemistry and biological sciences between the Scripps Research Institute and the University of Oxford in the UK. I am working in a structural biology lab whose goal is trying to develop a vaccine for malaria. A career in science is very collaborative and I anticipate going to Japan or working with Japanese scientists in the future. I really encourage Bowdoin students to study a foreign language (especially Japanese) because it can be a rewarding experience regardless of your future career path. I first learned about the Japanese program at Bowdoin when I visited for prospective student weekend during my senior year of high school. I talked to Professor Aridome during the academic fair and to my surprise he still remembered me six months later when I arrived at Bowdoin. I was really impressed—it showed me how much Professor Aridome and the program care about their students. The Japanese program was like a family to me and was an essential part of my Bowdoin experience. I started taking Japanese my first year simply because I wanted to learn a third language and I love Japanese anime. Although the first two years of Japanese met early in the morning, I was always excited for class because both Professor Aridome and Professor Selinger made class really fun. The classes were lively and energetic thanks to them. As a science and math major, I would say that taking a language is like taking a break from the sciences and enjoying another aspect of the liberal arts environment at Bowdoin. The Japanese program also offered other courses in history, literature, and religion. During my third year I took a course called Samurai in History, Literature, and Film which was eye-opening and gave me greater insight into Japanese society. The Japanese program also offered many activities to help students bond with one another. The most important one was the language table which was a great opportunity to practice Japanese language with friends and professors. There were other fun activities throughout the year such as karaoke parties, tea ceremony demonstrations, and sushi parties. I was able to experience aspects of Japanese cultures even though I was not in Japan. They were also great opportunities for me to develop relationships with my classmates who later became some of my closest friends.